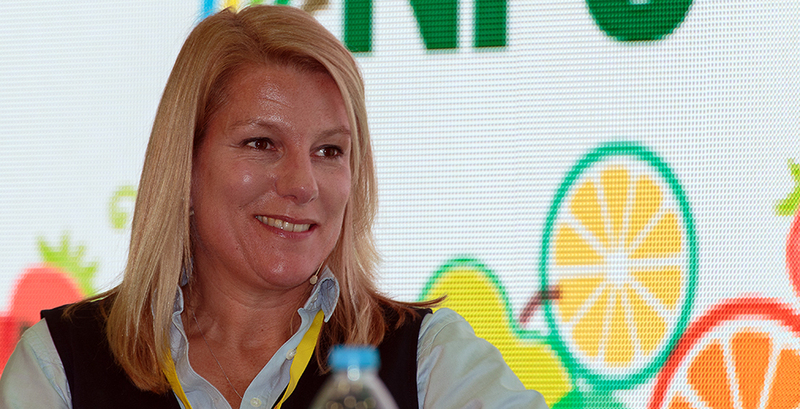 Berry Gardens chief executive Jacqui Green has revealed that the soft- and stonefruit cooperative plans to double its turnover to £700 million by the mid-2020s. Her comments came during a discussion of the business and the overall industry with FJP editor Michael Barker at the FPJ Live event in Coventry last week. The expansion, which comes along with previously announced plans for new and improved production facilities, is part of the company’s PICK initiative, which stands for People; Innovation; Collaboration and Knowledge. She added that thanks to their healthy eating message, berries had the potential to compete with unhealthy confectionary and snacks and that this was where she saw most future growth in consumption coming from.